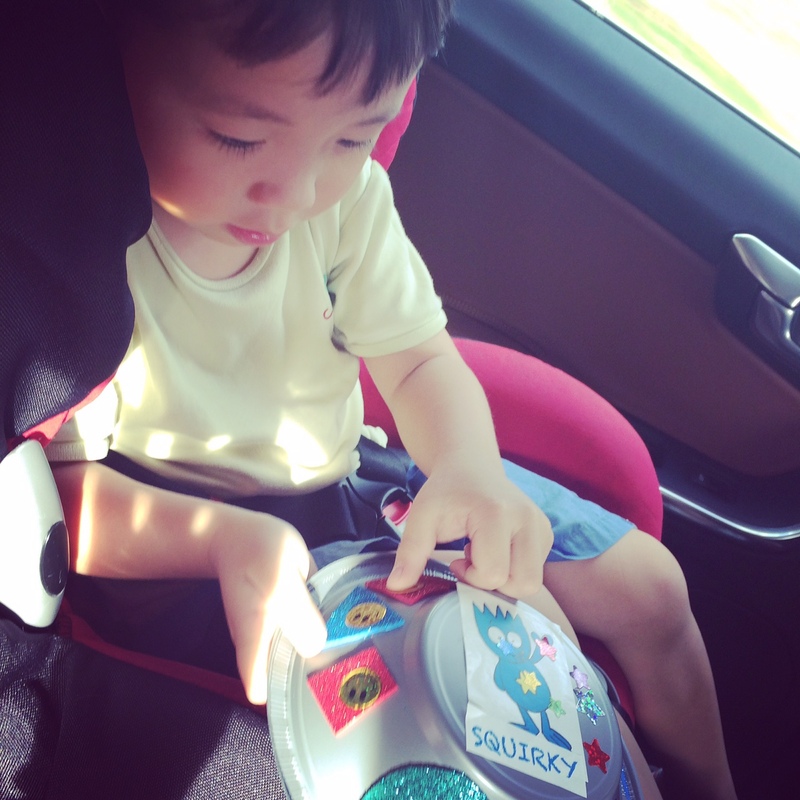 Most of the Squirky readers are too young to ping me on FB or drop me an e-mail. Most of the feedback I get is filtered through their parents, who are usually my friends or friends of friends or people I’ve met at events. As such, I really do wonder what really goes on in the heads of kids who read Squirky books. 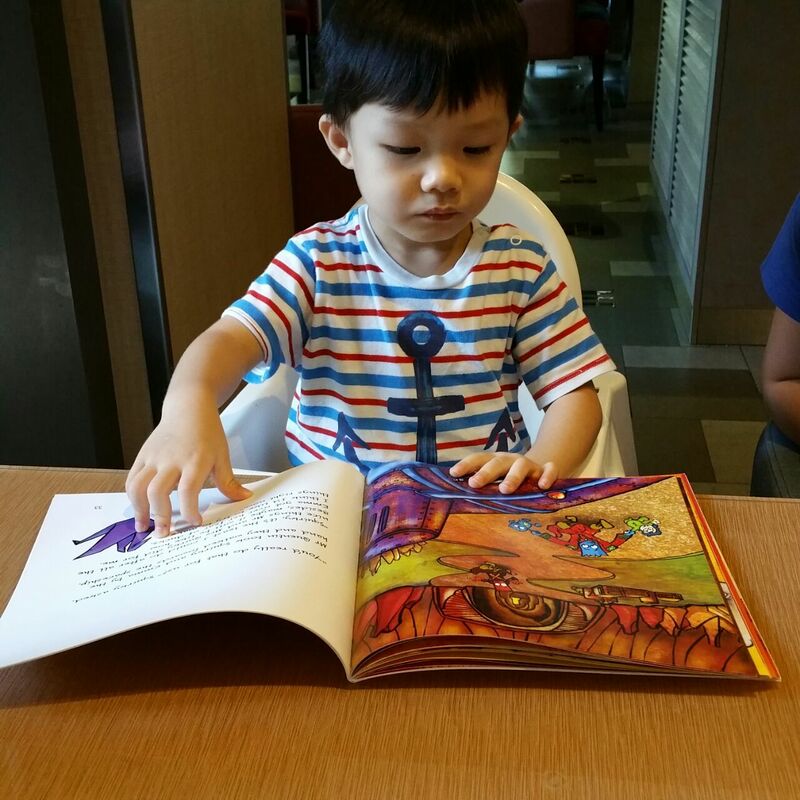 This is my cousin’s son D. For a while, I was sent videos of him rattling off the titles of the books. It’s really cute to watch. It is my not-so-secret wish that lil’ D and all the young readers will always find a friend in Squirky. This is a drawing by Big E (what his mummy calls him). He has created a little art collection of Squirky portraits and I really do wonder what he thinks of Squirky as a muse. One of his drawings even depicted Squirky as a grown-up with a wife and children. That’s really a stretch of imagination and it’s awesome. As a painfully shy kid, book characters often provided the most comfortable company for me. Since I’ve started writing this book series, I feel like it’s almost a responsibility to write Squirky as someone kids would enjoy hanging out with – fun, friendly and accepting. In real life, I usually take a while to warm up to people. But it is through writing that I get out of my shell and try to be fun, friendly and accepting as well. In March, we kicked off The Adventures of Squirky the Alien #3: Who is the Red Commander? with events at Books Kinokuniya. 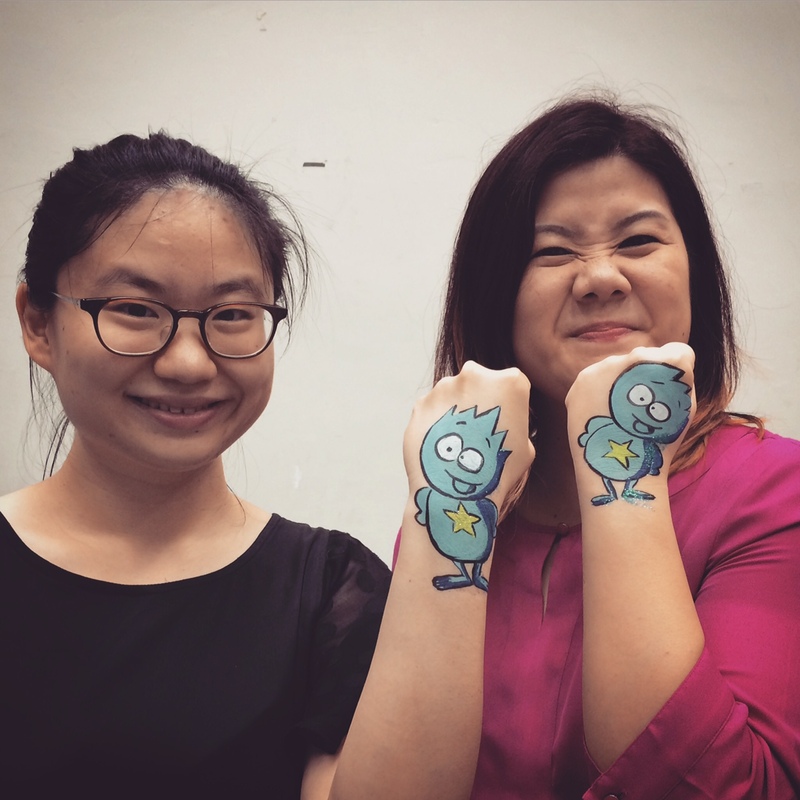 In April, we popped by KL for an OrphanCARE event (where there was a Squirky storytelling session) and got a Squirky tattoo while at it! With Lillian, who helps with marketing for MPH Group Publishing in Malaysia. 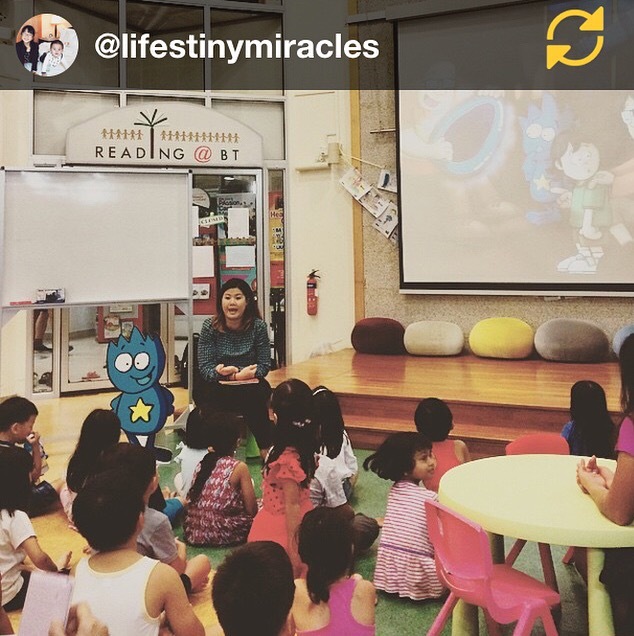 In May, we had a pretty exuberant time with the kids at Bukit Timah Reading Club! 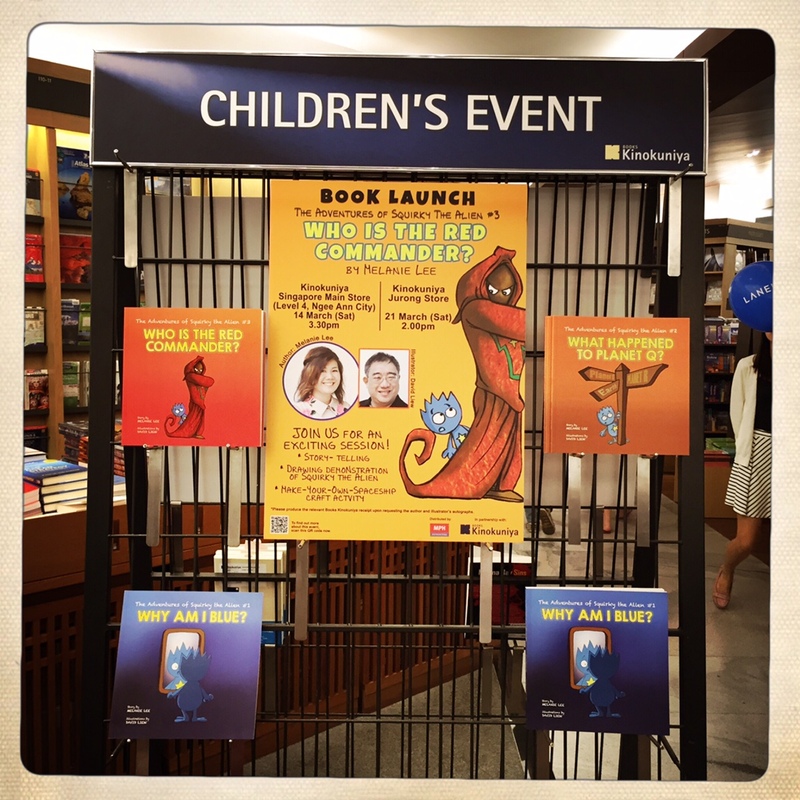 Random aside: MPH Singapore also came up with this super cool spaceship craft that was a big hit at all the Book 3 events. For Buddy, it became his default car entertainment. 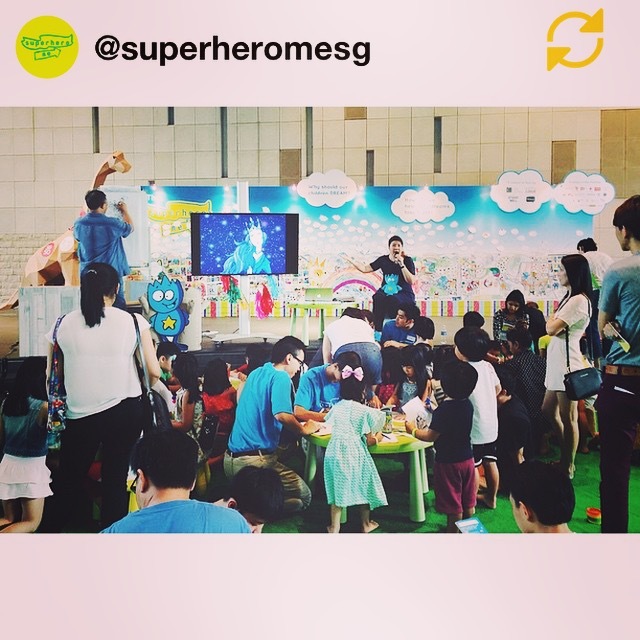 In June, Squirky also made an appearance at the Asian Festival of Children’s Content. It was lovely to see our books being sold at the festival bookstore thanks to Closetful of Books. But more importantly, I learned a lot from the much more experienced authors there. In particular, Sally Murphy gave some invaluable advice on writing tough topics for children. 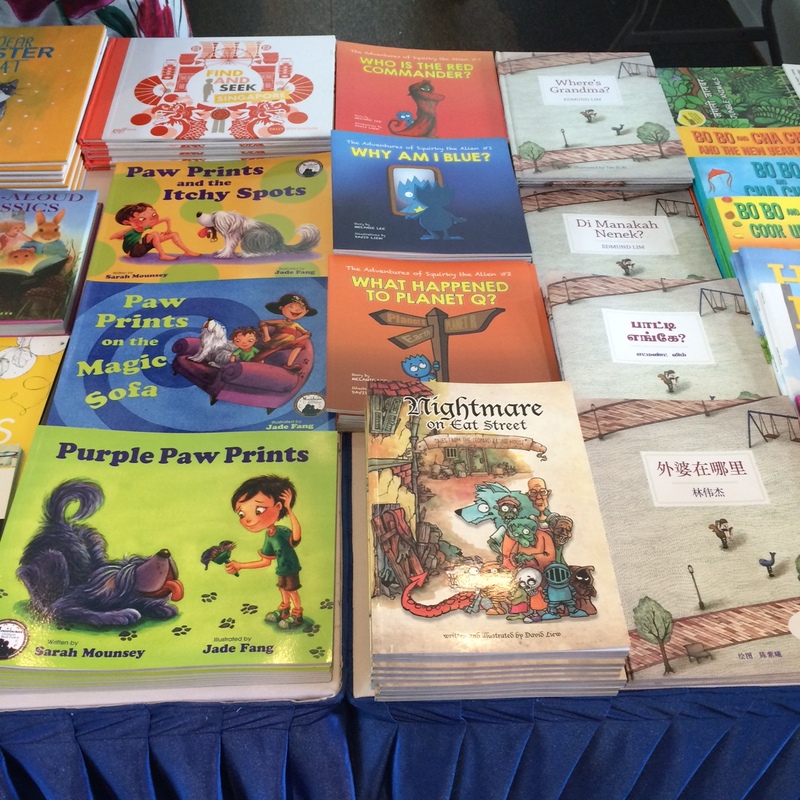 Illustrator David Liew’s other book (for more grown-up children, which he also wrote) is just below the Squirky books. 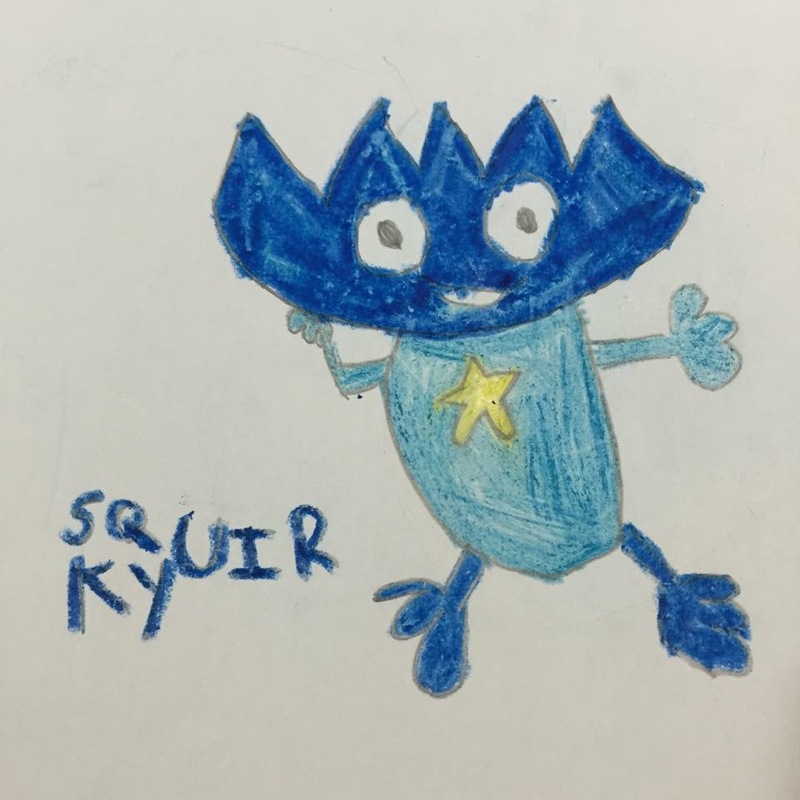 Squirky also made a cameo appearance at the Superhero Me Festival last month.We did a pretty improvisational choose-your-own-Squirky-adventure art jam and it was super fun! Next up: Will be telling you more about The Adventures of Squirky the Alien #4: Where is My Mama? Categories: Squirky Promo | Permalink.